Definitely not for vegetarians only, this book contains more than 90 delectable, healthful recipes for appetizers, snacks, dips, entrees, and accompaniments based on fresh seasonal produce. Savor Radicchio with Mozzarella, Japanese Grilled Eggplant, Vegetable Kebobs with Cilantro Sauce, and dozens more meatless dishes whose flavors are enhanced by open-fire cooking. 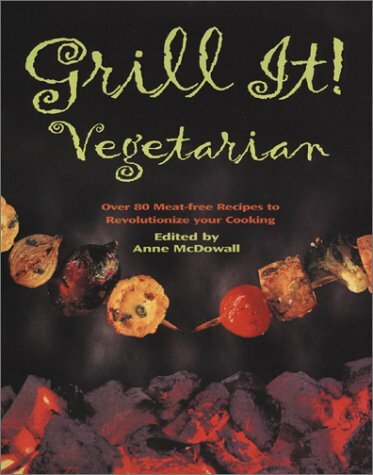 A chapter on desserts offers fabulous recipes for grilled fruits and sauces. A great resource for any time of year, and gorgeously illustrated with full-color photographs.